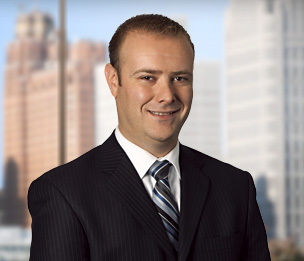 Michael Blalock is a Bloomfield Hills-based member of Dykema’s Commercial Litigation practice group. His practice focuses on complex commercial, contract, and consumer finance litigation. Mr. Blalock frequently represents global corporations in contract and supply disputes, including distributor termination claims, and he has represented owners, lenders, and contractors in construction disputes. As a member of the firm’s Automotive Industry Group, Mr. Blalock regularly represents automakers and major suppliers in high-stakes commercial disputes, with an emphasis on supplier disputes, troubled supplier litigation, and warranty cost recovery litigation. Mr. Blalock is also a member of the firm’s Financial Industry Group. He represents many of the nation's largest lenders and mortgage servicers in litigation involving mortgage origination, mortgage servicing, credit card products, and note and collateral enforcement.